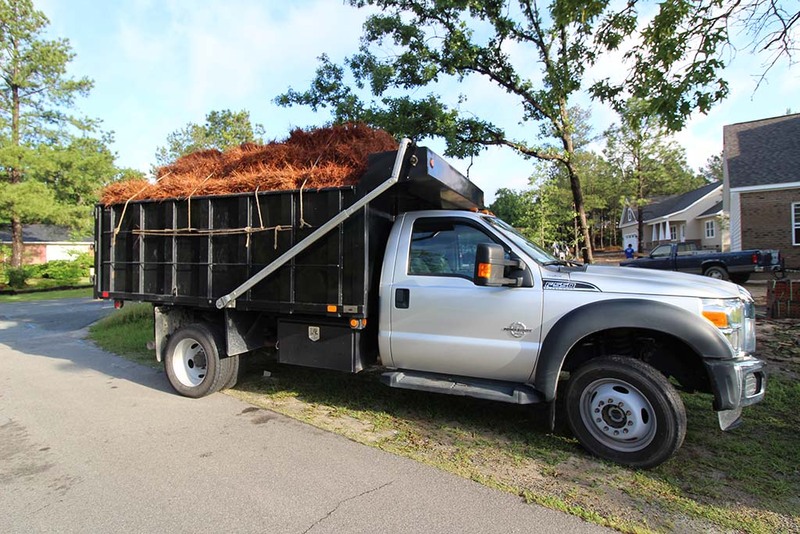 Brooks Hauling, Grading & Landscaping, LLC has the teams and equipment to haul anything and everything from sand, topsoil, stone and mulch to trees, shrubs and debris. Our dependable 4×4 dump trucks make delivering and removing materials to any job site a breeze. With 4-wheel drive capability we are able to haul job materials directly to where they are needed, saving time and money. We are also able to get right to the site of debris for fast and efficient loading and removal of unwanted trees, shrubs and trash. Our teams work carefully and take every precaution to minimize property disturbance and protect existing structures and delicate areas. 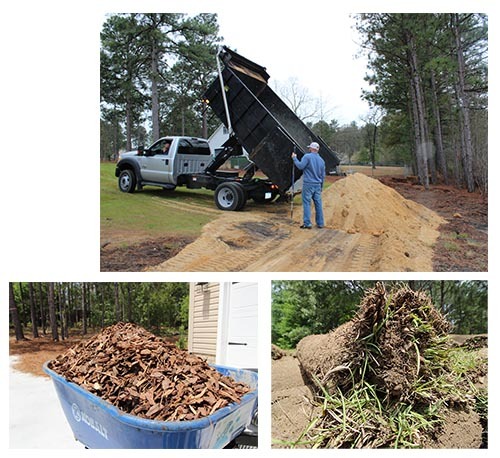 Debris and trash go hand-in-hand with lot clearing, land grading and landscaping overhauls. Equipped with excavators, track loaders with multiple attachments and dependable 4×4 dump trucks, our teams are able to quickly load and remove unwanted materials so you can get on to the next phase of your landscaping project. Brooks Hauling, Grading & Landscaping, LLC are the landscape contractors you can trust for all of your material hauling needs. Contact us today for a free quote.